• One in four Americans age 65 and older fall each year. 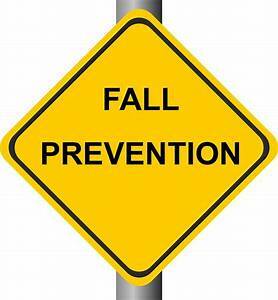 • Falls are the leading cause of fatal injury and the most common cause of non-fatal trauma-related hospital admissions among older adults. • More than 3 million older adults are treated in emergency rooms each year due to falls. • More than 800,000 older adults are hospitalized each year due to injuries sustained in falls, and more than 27,000 die. • Medicare & Medicaid pay 75% of the costs associated with treating injuries caused by falls. • The financial toll for falls by older adults is expected to increase to $67.7 billion by 2020. • 95% of hip fractures in older adults are caused by falls. Whether injury-causing or simply embarrassing, falls can affect an older adult’s quality of life. Once an older person has fallen, it doubles the chances that he or she will fall again. Many older adults are so afraid of falling that they limit their activities and social interactions in order to reduce the risk. The resulting social isolation often hastens physical decline, magnifies depression, and stokes feelings of helplessness. • Have your eyes and hearing tested. • Use an assistive device, such as a cane or walker. • Be careful when walking on wet or icy surfaces. • Wear non-skid, rubber-soled, low-heeled, lace-up shoes. • Avoid walking on stairs or floors while wearing socks. • Make sure your home is well lit.